The Allonesearch Hospital Equipment category, also known as medical supplies, includes companies offering medical oxygen supplies, hospital supplies, medical instruments, hospital beds, and surgical supplies. There are 12 companies listed in our Hospital Equipment category for Tallahassee. This page shows listings 1 to 12. If you'd like to check the Hospital Equipment category for other cities in Florida click a link on the left. Age & Accessibility Home Solutions LLC. Made of durable steel that makes it fireproof. Unique open mesh ramp surface allows moisture to pass through, reducing the possibility of dangerous ice forming on the surface. 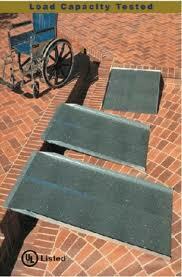 Raised gripping pattern makes our ramps slip resistant. Our patented bolt together system usually does not require a building permit or excavation on your property. Made in the USA from 100% recyclable steel. Available for rent or purchase. 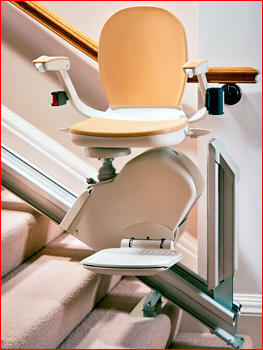 If you or a loved one have difficulty with stairs, then a Stairlift from Amramp will make a big difference in your life. Get full access to multi floor homes. Indoor & outdoor models available. Curved units and custom designs are also available. Vertical & inclined platform lifts are essential for gaining access to raised entries in and around your home. Weatherproof for indoor and outdoor use. 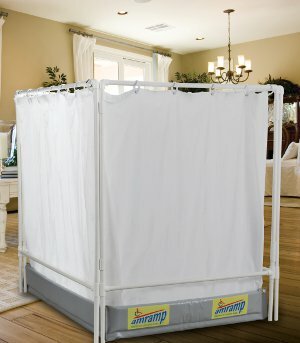 Models from 4 to 14 feet for residential or commercial use. Meet ASME standards. 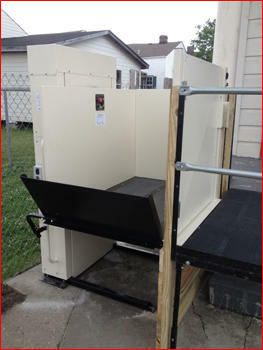 Platform lift installation is quick and easy. Affordable, indoor portable roll in showers for people with mobility challenges. Use anywhere warm water is available in the home. No plumber required, they adapt to existing faucets. Easily to clean and sanitize. Can be easily stored between uses. 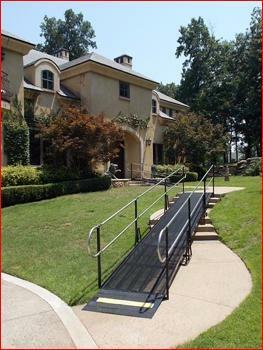 Durable and easy to use portable ramps for wheelchairs and mobility scooters. Available for indoor and outdoor use. Great solution for homes or businesses with low rise entrances. Ranging in size from 2 to 12 feet. Easily carried, folded and stored. 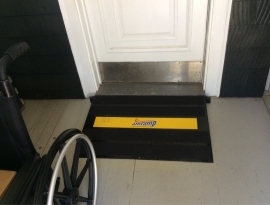 Threshold ramps ideal for those utilizing a wheelchair, mobility scooter or walker to navigate through doorway and raised landings. ADA compliant, 100% green product. Custom colors available. Overhead patient lift system provides safety and accessibility for people with limited mobility. 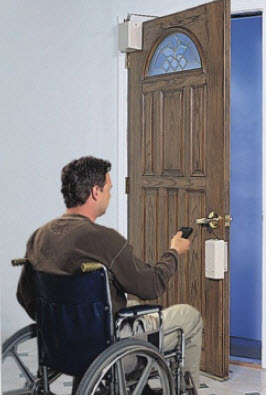 Our patient lifts for home use are free standing and can be used in almost any room. Reduce the risk of injury for both the patient and caregiver. Several models available. 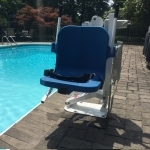 Amramp's pool and spa lifts are the perfect solution for both in ground and above ground pools. ADA compliant with a limited lifetime warranty. Completely portable units available with no anchors required. Up to 600 lbs. capacity. Residential or commercial models available. Superpole and safety grab bars provide assistance in any room for almost any task. Many sizes and models available. Easily attaches to any standard interior or exterior door, even doors with weather stripping. Can still be opened with a key. No special, costly wiring. Safe, secure and easy to use push button. 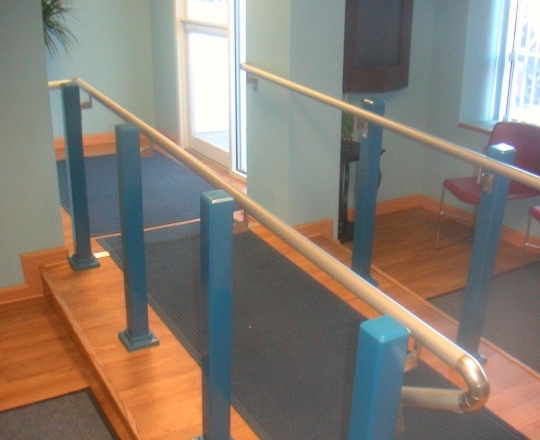 Strong, easy to install and versatile handrails for continuous support anywhere in the home or office, indoors or outdoors. Meets residential, commercial and industrial code. ADA compliant. Each bracket supports 500 lbs.